En los últimos Street Style sí no es que en todos, les he traído a increíbles mujeres que saben como adaptar su estilo y plasmarlo en su manera de vestir pero ya va siendo hora de consentir a los hombres y ayudarles un poco más sobre cómo vestir. 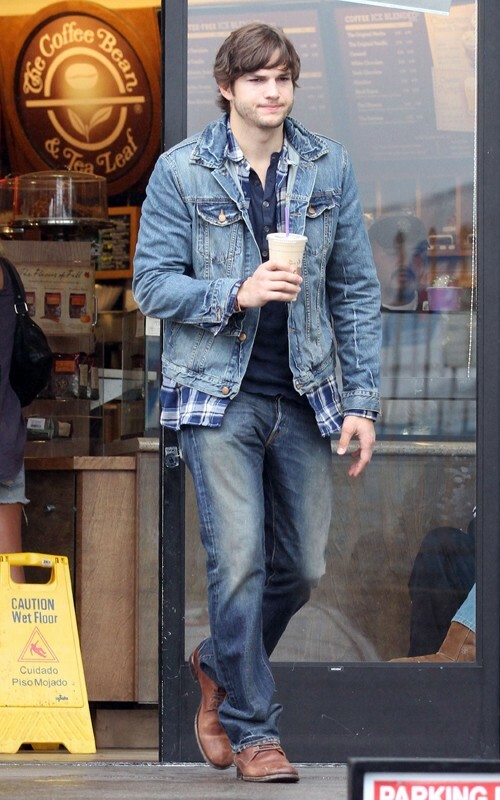 El Street Style de hoy es sobre Ashton Kutcher, que sí bien no es un personaje que propone, sabe de qué manera llevar una clásica camisa a cuadras y volver locas a muchísimas mujeres. In most Street Style I posted about many incredible women that know how to adapt their style and translate it into their dress perfectly but in this occasion I bring you some picture about Ahston Kutcher´s style. I hope this helps to many guys who search some inspiration although Ashton Kutcher is not a person that suggests, he knows how to wear a check shirt and look awesome.